Don’t miss an opportunity to discover Split while running with SightRun App. Here’s a quick overview of what you can expect from the new SightRun Split tour. Recently Split has joined our list of runner friendly cities that you can run with SightRun App. 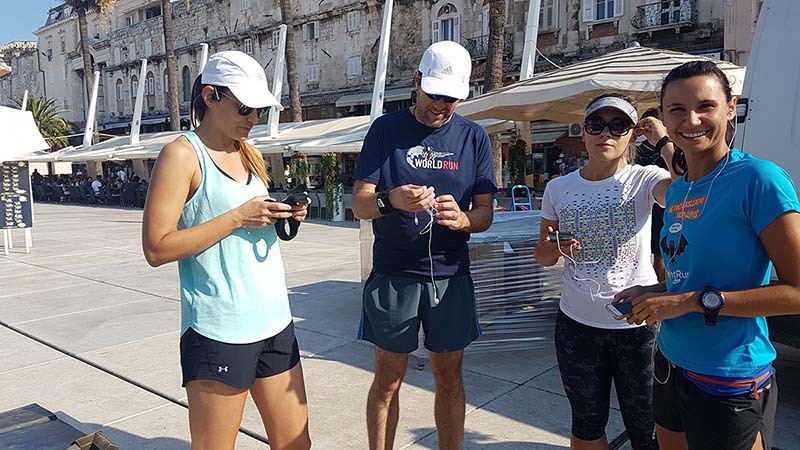 The tour was created with the support of Split Tourist Board and in July we celebrated the launch of a new tour by organizing a group run with the app. If you love running, SightRun mobile app can help you to stay active and explore the city at the same time. 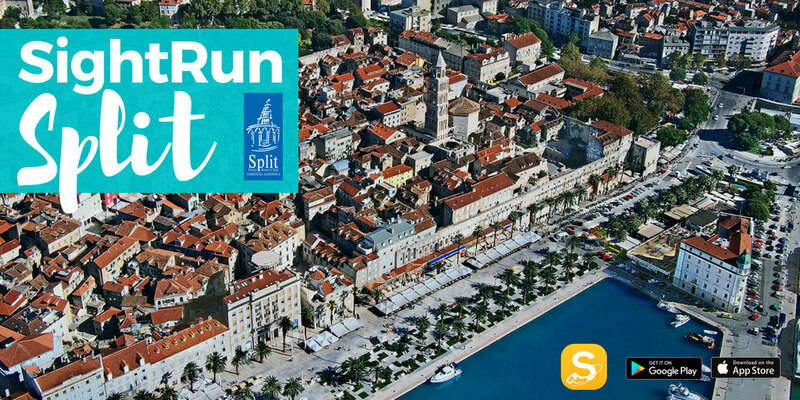 SightRun Split tour combines the seafront promenade, stunning viewpoints and main city attractions. When running this tour you will find out more about UNESCO world heritage site Diocletian Palace and Prokurative (Republic Square) as well as see the Saint Domnius Cathedral (Sv. Duje), the statue of bishop Grgur Ninski and the vibrant fish market (peškarija). It’s an attractive 5.5 km route that starts next to the city’s scale model on the Riva (promenade). SightRun is your audio running guide that will navigate you during your run and tell you interesting stories about the amazing sights you will see along the way. As the content is perfectly suited for runners, you can fully enjoy your run even if you don’t wish to stop and take photos. After your run, we invite you to discover hidden gems inside the Diocletian Palace and to find your place to enjoy a nice meal or just a cup of coffee. Don’t wait any longer! Take your running shoes and download free SightRun app on your mobile phone and discover Split. Make sure you bring your earphones. The App will give you precise audio navigation and you can always check the map if you’re not sure about the direction. The app uses GPS of your mobile phone so it doesn’t matter how fast you move. The tour is available in English and Croatian. SightRun App is simple to use, but if you’re not sure on how to use it, check out our post about how SightRun App works.